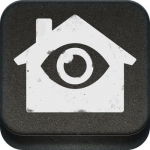 Seeing Assistant Home possesses apps that those with severe visual impairment often use. These include a detector of light, colours, fast reading of QR codes and barcodes etc. It is simple to operate; its interface is intuitive and, above all, all the utilities are in the same place. However, it should be taken into account that the reading of colours from a camera is never precise, due to light refraction. This app is recommended for people who have at least a little knowledge of digital devices. (Note: personalised labels cannot be saved, only barcodes of databases available online can be read. The aim is to support the blind and the visually impaired in their daily life in a simple manner. This app enables blind users to recognise colours and detect light sources. In addition, the visually impaired will be able to use the electronic magnifier. It can also read and create barcodes and QR codes. These can be used to mark and organise objects.